Mastermind behind one of San Diego&apos;s longest running deep house nights, DIVE, DJ ALA has been a driving force in the west coast house music community. 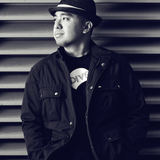 Through the evolution of DIVE, ALA has been instrumental in bringing world-renowned talent to San Diego, which gave him the opportunity to play alongside such House luminaries as Roy Davis Jr., Jask, Louie Vega, Marques Wyatt, jojoflores, Alix Alvarez, Halo, Mark Grant, Lisa Shaw, Tortured Soul, & more. With early success of his compilation series Mar Del Sol and G Lounge and now as host of the popular show, Dive Radio, ALA has built a solid tour resume. From San Francisco to Paris, ALA has graced the decks of many notable hotspots like DEEP (LA), Cielo (NYC), End Up (SF), Peopl (Montreal), Djoon (Paris), and Boom Boom Room (Chicago). His illustrious DJ career also includes a growing list of gigs at world-renowned events and venues in such cities as Manila, Bordeaux, Vancouver, Miami, Ibiza, Playa del Carmen, London, & more.